The Futons Contemporary Metal Futon Frame and Mattress Set by Coaster at A1 Furniture & Mattress in the Madison, WI area. Product availability may vary. Contact us for the most current availability on this product. The Futons collection is a great option if you are looking for furniture in the Madison, WI area. 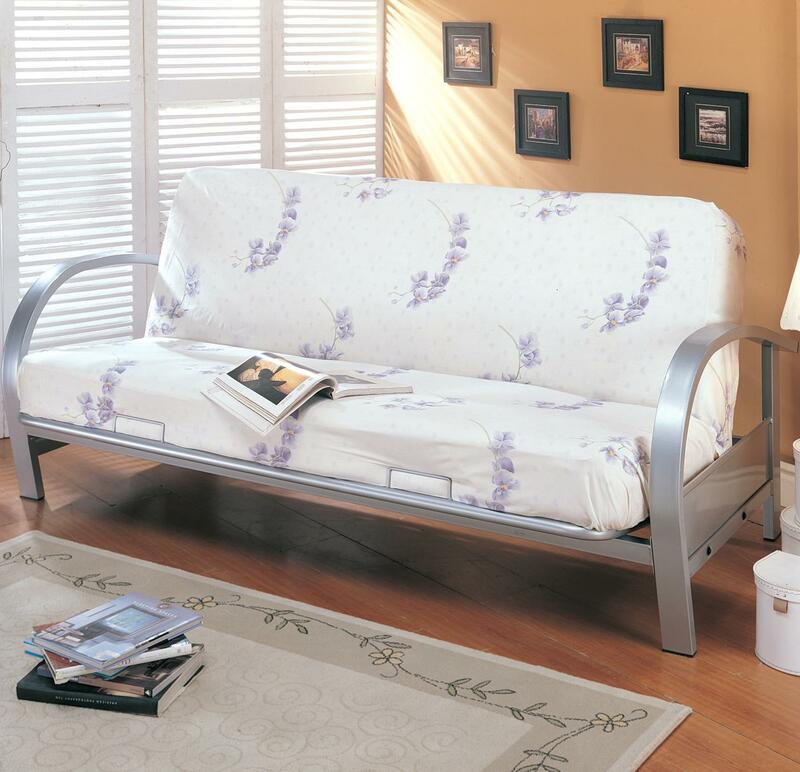 Browse other items in the Futons collection from A1 Furniture & Mattress in the Madison, WI area. Bought it for a 12 year old grandson. With in 6 months the frame the futon sits on bent and finally broke. The hinges on the side that allows you to go froma= a bed to couch bent. Parts were replaced but not for older kids.